The new season sees the F1™ carnival returns to the UK for the 2019 Formula 1™ British Grand Prix at the historic Silverstone Circuit, where Lewis Hamilton will aim to boost his extraordinary win ratio in front of the British fans. 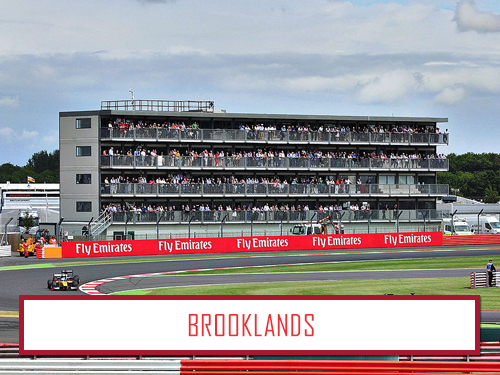 Join us at Silverstone, one of the drivers’ favourite tracks with its combination of fast straights and high speed corner complexes, where Mercedes driver Lewis Hamilton will be trying to notch up yet another race win for the passionate Silverstone fans lining the track at the Formula 1™ British Grand Prix 2019. Each time Formula 1™ comes to Silverstone, the atmosphere at this famous circuit is feverish with fans flocking from all over the world to see the current crop of F1™ stars battling it out on track in front of the packed grandstands of ardent fans at the British Grand Prix 2019. The new specifications of the Formula 1™ cars promises more wheel-to-wheel action than before, meaning 2019 British Grand Prix hospitality guests are in line for a fascinating weekend of F1™. Fans enjoy superb views of the action on track at the circuit, but none better than the VIP views afforded by British Grand Prix VIP tickets which allow Silverstone hospitality guests to experience fantastic track side entertainment with complimentary drinks and outstanding service throughout the weekend, along with incredible balcony views to absorb all the Formula 1™ drama as it unfolds on the iconic Silverstone track. 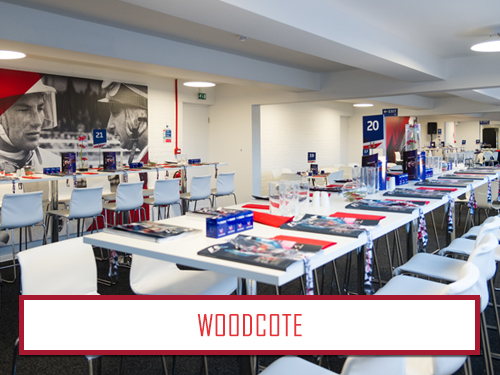 Located at the start of the National Pit Straight, the Woodcote Lounge puts 2019 British Grand Prix hospitality guests at the very heart of the action on track. 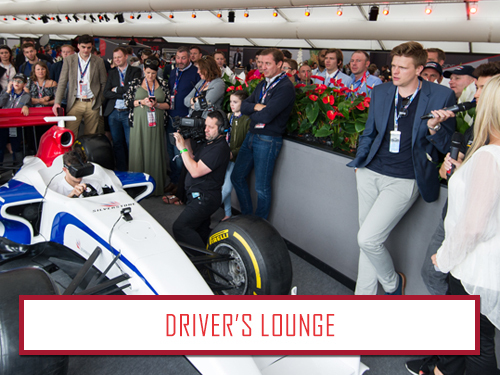 The panoramic balcony of this VIP facility inside the track gives guests a real adrenaline rush as the Formula 1 cars accelerate out of the exit of Woodcote Corner past the Woodcote Lounge. 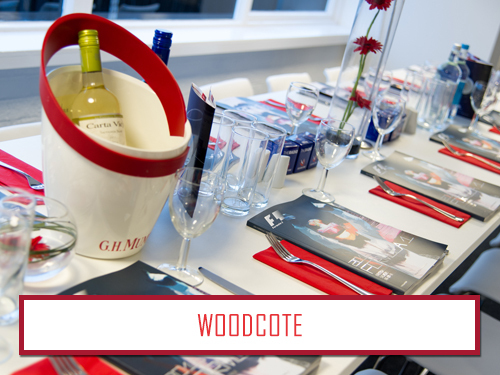 Bookings in the Woodcote Lounge at Silverstone can be made for minimum groups of 2 guests. 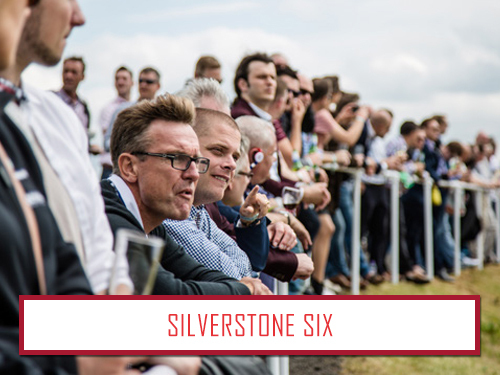 Watch the drama unfold on the track from one of our prime viewing terraces or take advantage of the ever-popular grandstand that offers panoramic views of no fewer than six corners which include – Maggots, Becketts, Farm Curve, Village, The Loop and Aintree. 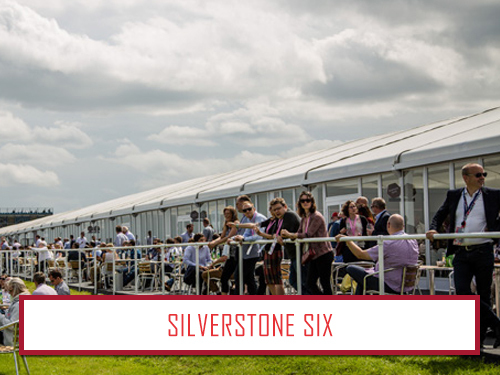 The Silverstone Six has now established itself as a popular location where guests can savour the atmosphere and revel in the delights of traditional Silverstone hospitality. 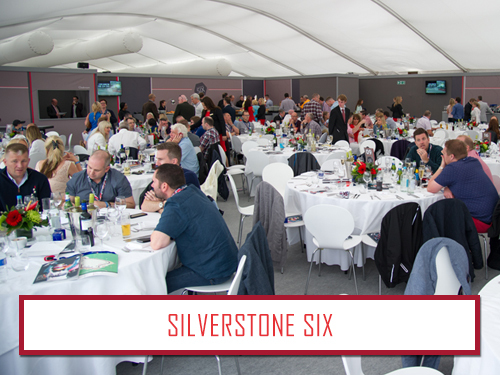 Bookings for Silverstone Six hospitality at the British Grand Prix can be made for minimum groups of 2 guests with private tables available for groups of 10 guests. Take in the view from your own dedicated trackside balcony on the inside of the famous circuit as the cars negotiate the renowned Brooklands & Luffield corners. a popular overtaking spot in the DRS zone, before accelerating hard into Woodcote and onto National Pits Straight. This popular hospitality location offers you the chance to capture the thrill of F1 in superb surroundings. 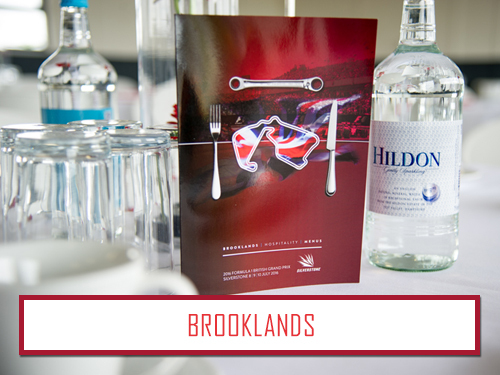 If you are looking to match the thrill of the track with the finest hospitality, then look no further than Brooklands at Silverstone. 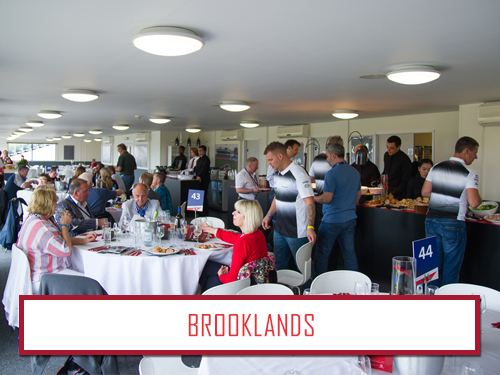 Bookings in the Brooklands hospitality suite at the British Grand Prix can be made for minimum groups of 2 guests with private tables available for groups of 10 guests. 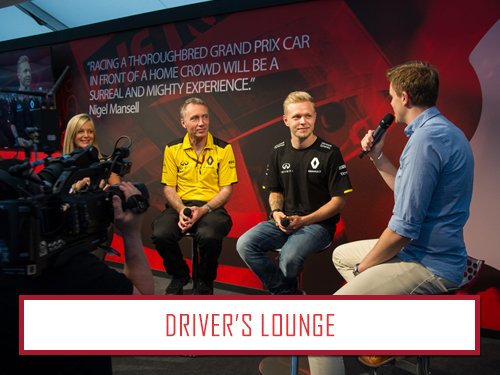 Join our celebrity host Jake Humphrey as he brings the very essence of the Drivers’ Lounge to life, interviewing the heroes of F1 past and present, as well as some of motorsport’s most successful personalities who will be here to join in what promises to be the highlight of the sporting summer. Inside our new and exclusive suite will be F1 simulators, interactive experiences, autograph and photograph opportunities, video screens and live entertainment. 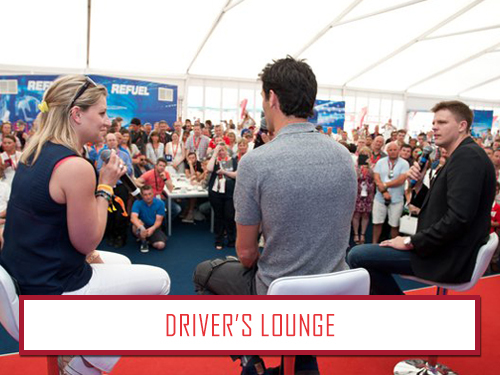 Bookings in the Silverstone Drivers' Lounge can be made for minimum groups of 2 guests. Watch the gripping Formula 1 action unfold as the cars roar past at eye-popping speeds down the Hangar Straight - famously the fastest section of the circuit. 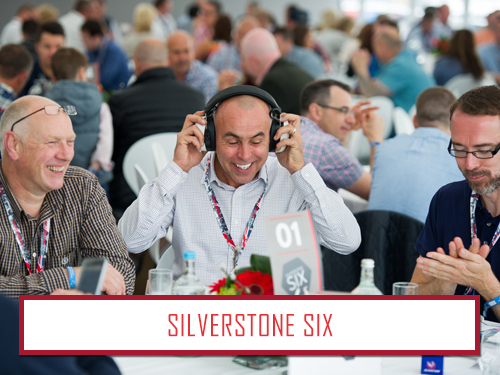 Silverstone VIP guests inside the exclusive Porsche Hangar Straight hospitality suite enjoy panoramic views of the track from the private roof terrace above the hospitality suite, making it one of the most popular British Grand Prix hospitality packages. Official Hangar Straight hospitality packages can be booked for groups of 2 guests and above. 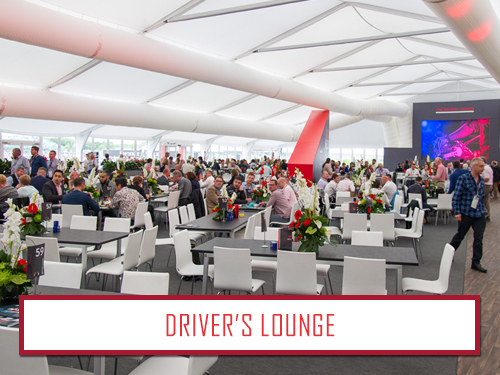 Located at the heart of the circuit, the Formula One Paddock Club entitles guests to quite simply the best race weekend experience on offer. 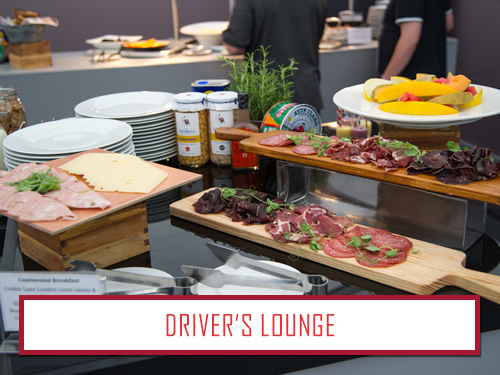 Free flowing Champagne throughout the day accompanies the gourmet cuisine on offer within the Paddock Club, along with unequalled views of the start/finish straight and he pit lane from the privileged position above the team garages. 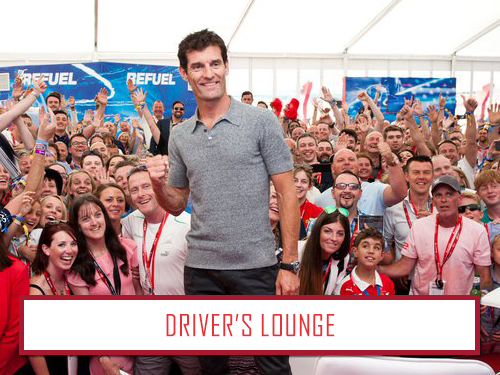 VIP guests in the British Grand Prix Paddock Club at Silverstone will benefit from exclusive appearances from F1 drivers and famous faces throughout qualifying on Saturday and Sunday's main event. Bookings in the F1 Paddock Club and for Saturday & Sunday or Friday & Saturday & Sunday and can be made for minimum groups of 2 guests. To book 2019 British Grand Prix VIP tickets and hospitality or to enquire about prices and current availability, simply send us your details using the form below and a member of our team will get back to you as soon as possible with all the information. 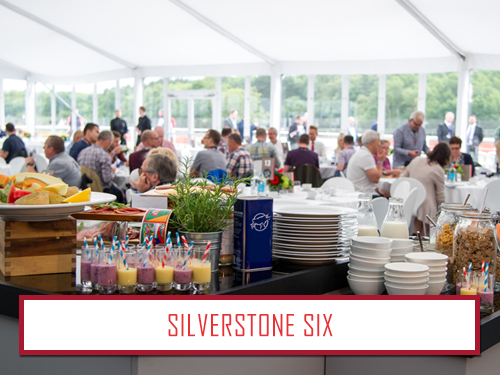 Silverstone is a regular fixture for us and a big thanks to the team at Hospitality Centre who always make sure we get the best hospitality inside the circuit with the best food, drinks and the best views in the circuit. We've had a few issues in the past with other events companies but these guys always deliver without fail. Top class all round. 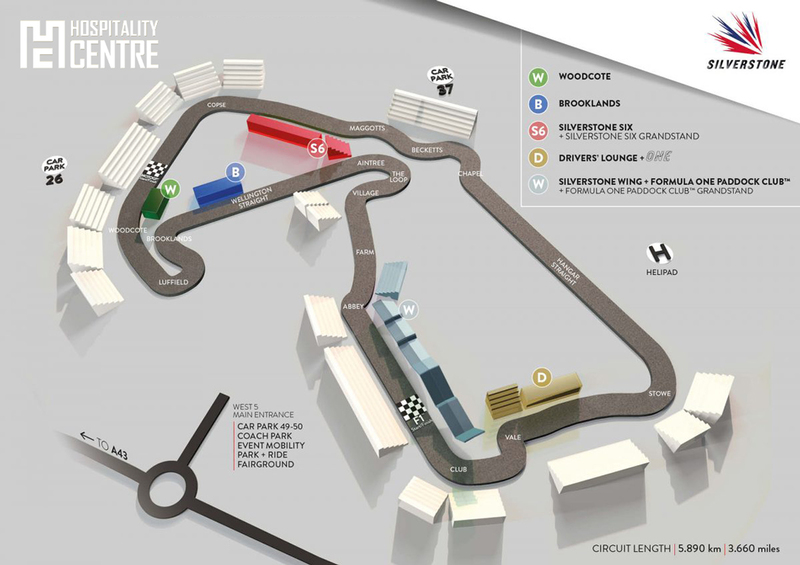 WHERE ARE THE HOSPITALITY FACILITIES LOCATED ON THE CIRCUIT? All hospitality facilities are located track side at various points around Silverstone. Please refer to the British Grand Prix Hospitality Map above for exact locations. CAN I FOLLOW THE ACTION ON THE GIANT SCREENS? Giant screens are visible from the Silverstone Six, Drivers' Lounge and Brooklands hospitality facilities. WHEN WILL I ARRIVE/LEAVE ON THE DAY? 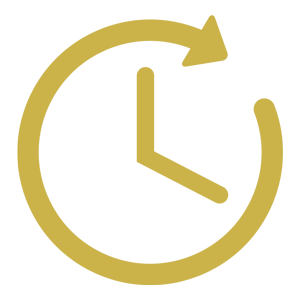 During each day of the Formula 1 British Grand Prix, the venue opens at 08:30am and will close half an hour after the final track session of the day. IS THERE DISABLED ACCESS AT THE SILVERSTONE HOSPITALITY? 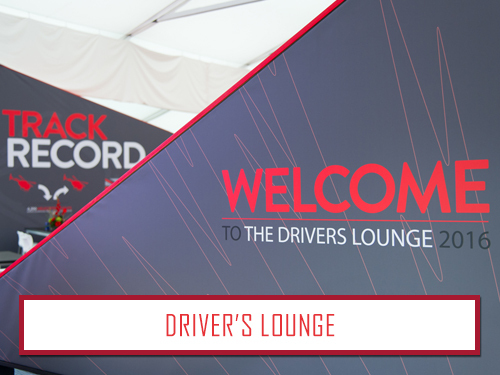 There is disabled access, furthermore we would advise wheelchair guests to take advantage of the viewing terrace that features in the Drivers' Lounge hospitality package. CAN I BRING MY CHILDREN TO THE HOSPITALITY FACILITY? Children over the age of 8 years are permitted to enter the hospitality facilities at the British Grand Prix, providing they have their own hospitality ticket. HOW CAN I GET PIT LANE ACCESS AT SILVERSTONE? 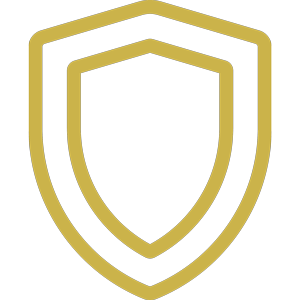 The only way to get access to the Pit Lane and Paddock is with the Paddock Club, which entitles VIP guests to a Pit Lane Walk at an allotted time during each day of the British Grand Prix. WHEN WILL I GET MY BRITISH GRAND PRIX VIP TICKETS? 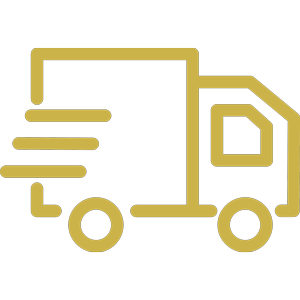 Official British Grand Prix hospitality tickets and VIP guest information is usually sent out by our dispatch team 5 - 7 days prior to the event, which will include everything you need before you arrive including an itinerary, directions, your entry ticket and your hospitality passes. 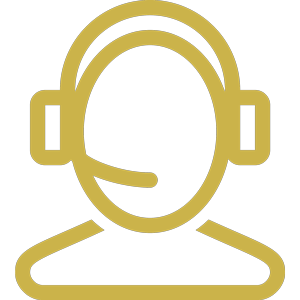 Our fantastic team of Formula 1™ experts have the expert knowledge to answer any questions and help you get British Grand Prix hospitality to perfectly suit your needs. We pride ourselves on providing official British Grand Prix 2019 VIP tickets and hospitality packages, ensuring you enjoy complete peace of mind each time you book.